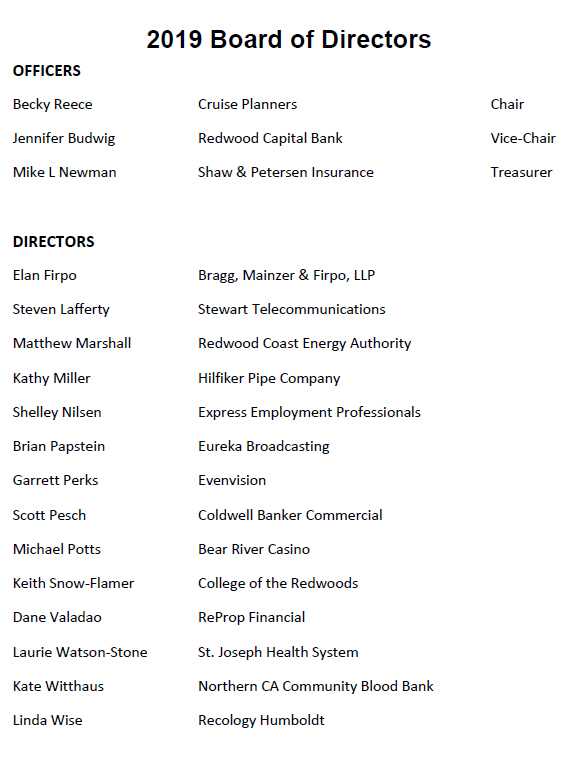 The members of the Eureka Chamber Board of Directors are leaders from all areas of the local business spectrum. Directors are elected by the membership to serve three-year terms of office. 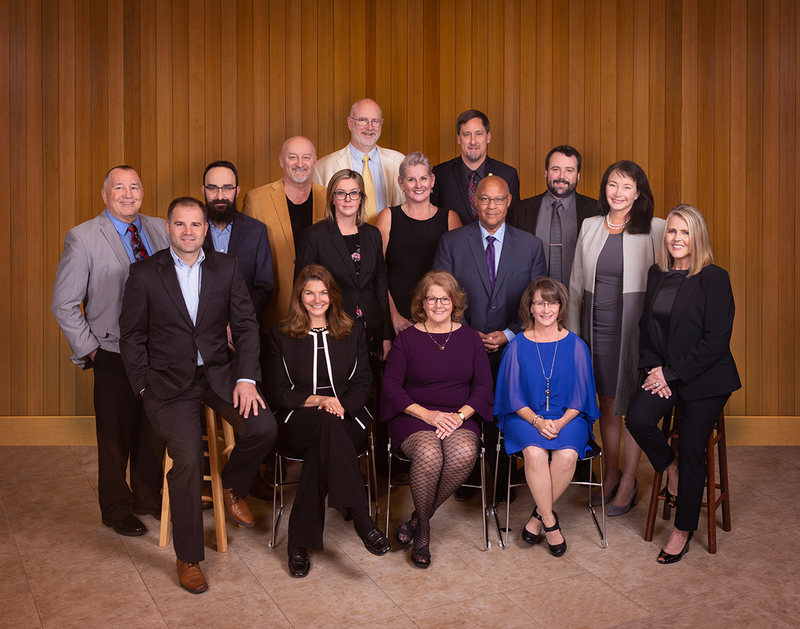 This dynamic group provides policy guidance, evaluates Chamber programs and activities and directly represents the interests of the North Coast business community.